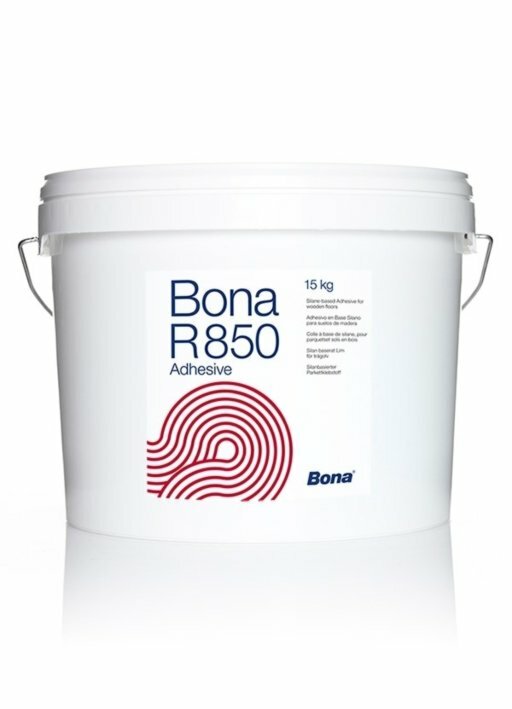 R850 is an elastic 1-component silane-based adhesive for parquet floors. The hardened adhesive is similar to conventional adhesives - able to withhold thrust during expansion, while the resistance sgainst shrinkage is very low. Tensions to the sub floor are therefore reduced. The use of a primer is in general not necessary. The adhesive hardens by a chemical reaction with moisture. Cleaning S100, acetone and ethanol. Hardened adhesive can only be removed mechanically.